In fiction there is a tradition of magic being a dangerous force. From novels like A Wizard of Earthsea to contemporary video games like Warcraft and Dragon Age and even classic Dungeons & Dragons settings like Dark Sun there are examples of magic having a corruptible influence on spellcasters. Focusing solely on Pathfinder and its progenitor systems, there have been numerous attempts to represent this system of corruption, like the taint mechanics of Dungeons & Dragons 3.0 Oriental Adventures/Rokugan line, and arcane corruption from the Magic and Mayhem supplement for the Warcraft RPG. What is detailed below is the Encounter Table's take on the concept, presented in piecemeal sections that you can use à la carte, allowing you to customize your own campaign's version of magical corruption. This system does not delineate corruption along arcane or divine spellcasting lines. Gamemasters are urged to adjust this system to reflect corruption in ways that makes the most sense for their games, whether it be that only arcane magic and divine magic granted by evil deities corrupts, or that even a good-aligned cleric of a lawful good deity is being continuously tempted by evil forces when using magic. When considering to employ magical corruption in your Pathfinder games, take time to consider the societal impact this would have on a world where magic exists. It immediately becomes a dangerous force in need of safeguarding against. Even magic items have a dark origin steeped in the risk of corruption in their manufacture under these rules. Think about what impacts that will have on storytelling and your players enjoyment before incorporating this system. Magic corruption typically exists in two forms in fiction: active and reactive. Active corruption presents a tempting force, whether intelligent or not, that offers up power to a character in exchange for undesirable consequences later down the line. From Faustian pacts to the damnation of a soul through irredeemable acts, the concept is that greater forces in the universe use spellcasters as pawns or conduits for their own power. 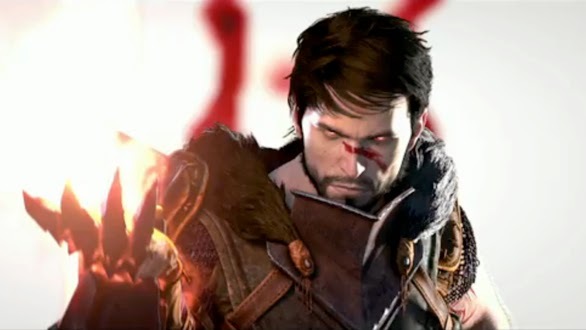 Reactive corruption represents magic as a force that corrupts inherently, whether it blights the land as seen in the Dark Sun campaign setting, or unwittingly opens the mind to possession and influence by evil forces as seen in the Dragon Age RPG franchise. The rules below presume a neutral stance, allowing you to insert your own agenda for corruption. This intention-neutral stance allows for a universal set of corruption rules to be designed that can cater to all manner of settings and playstyles. In some situations the corruptive force of magic offers greater power in exchange for a faster path to corruption. Be it through the temptation of otherworldly powers or by the simple nature of magic itself. In this optional rule, whenever a character casts a spell they may freely add metamagic feats to the spell as it is being cast, even if they do not possess the metamagic feat in question. Doing so increases the casting time of the spell to 1 full round (or doubles the casting time if it is normally greater than one full round). A character may boost a spell in such a fashion with a maximum number of additional spell levels equal to half his caster level plus his total corruption score (minimum 1). For example, a 4th level wizard with 3 points of corruption may spontaneously add up to 7 additional spell levels worth of metamagic in this fashion. Spells may have their effective level increased beyond 9th in this regard. The DC to resist corruption is higher when enhancing a spell in this fashion (DC 10 + twice the total adjusted spell level) and the points of corruption accrued equal to the spell's total adjusted level. This includes adjustments to effective spell level from normal metamagic feats as well as these spontaneous enhancements. Some spellcasters seek to grant themselves increased potency by sacrificing their own life-force or the life-force of others. When casting a spell a character can decide to include a blood component. Making this decision adds both a material and somatic component to the spell (even if it did not already possess these traits). A character who sacrifices his own blood in spellcasting may choose to deal hit point damage or Constitution damage by way of self-injury. In order to use sacrificial magic, a spellcaster must be capable of drawing his own blood in some fashion. For every 10 hit points sacrificed, the spellcaster adds +1 to the spell save DC. A character may sacrifice a maximum number of hit points per spell cast equal to one quarter his caster level (minimum 10). A character performing hit point sacrifice must succeed at a Will save (DC 10 + spell level) or gain a number of points of corruption equal to the level of the spell being cast, plus one additional point of corruption per 10 hp sacrificed. Alternately, for every 2 points of Constition damage the spellcaster suffers, he increases the effective caster level of the spell by +1 and adds +2 to the spell save DC. A spellcaster may sacrifice any amount of Constitution in this manner, up to his total Constitution score. If his Constitution is reduced to 0 by means of this sacrifice, he immediately dies after the spell is cast and may not be resurrected except by a miracle or wish. A character sacrificing Con damage must succeed at a Will save (DC 10 + double spell level) or gain a number of points of corruption equal to the level of the spell being cast, plus an additional point of corruption per point of Constitution sacrificed. These sacrifices need not be from the spellcaster himself. By inflicting hit point or Constitution damage on a living, willing (or helpless) creature a spellcaster may sacrifice their blood to fuel his magic instead of his own. The creature who's blood is sacrificed must have a number of hit dice equal to the level of spell being cast (including any metamagic enhancements). Multiple creatures whose hit dice total the level of spell may be sacrificed instead, provided they all sacrifice blood or Constitution on the same round the spell is being cast and are within 30 feet of the spellcaster through the duration of the spell's casting time. When multiple creatures are sacrificed to reach the required hit dice threshold, the damage (hit point or Constitution) is equally taken from all participants. If the spellcaster would normally take 4 points of Con damage to boost the spell, all participating creatures must take 4 points of Con damage for the spell enhancement to be successful. A spellcaster using another living creature's life-force to fuel a spell automatically receives a number of points of corruption equal to three times the total level of the spell being cast with no save. Magical corruption is a lasting mark on a character's soul that both weakens them to future resistance against corruption and physically transforms them. For every 5 points of a character's corruption score he suffers a cumulative -1 penalty on Will saves made to resist magic corruption. Additionally, he treats his primary casting stat as 1 point higher per point of his corruption score for the purposes of determining bonus spells and the highest level of spell he is capable of casting. Additions or subtractions to magical corruption are treated as changes to the ability score with respect to bonus spells and the maximum level of spell that a character can cast. Physical transformations accrue slower, but have more readily apparent consequences. When a spellcaster reaches a corruption score of 5, a character suffers a -2 penalty to Diplomacy checks against NPCs that do not possess a corruption score. At a corruption score of 10, NPCs who do not possess at least 1 point of magic corruption have their starting attitudes lowered by one level. A character's physical appearance transforms as he accrues corruption in a gradual expression of his descent. Gamemasters and players should work together to come up with an description of physical corruption thematic to magic in your game. Characters suffering from magical corruption can become beacons for evil creatures to exert their will on the world. There is a percentage chance equal to a spellcaster's corruption score, made each day, that he becomes the victim of an attempted possession by an outsider or incorporeal undead. A character who is targeted in such a fashion must succeed at a Will save (DC 10 + 1/2 the possessing creature's HD + the possessing creature's Cha modifier) or become possessed by this entity. Characters who suffer a penalty to Will saves to resist magic corruption also take the same penalty on Will saves to resist possession in this manner. The possessing creature should be an outsider or incorporeal undead of a CR equal to the spellcaster's level -1. What happens to a possessed spellcaster is determined by the rules used for possession. Pathfinder as of yet has no codified rules for possession, though options for such are presented in Pathfinder Adventure Path #28, The Infernal Syndrome. Alternately, the Encounter Table recommends modifying the Demon Possessed Creature template from Green Ronin's Advanced Bestiary. Magical corruption isn't a one-way path, but overcoming the physical and spiritual transformation of it becomes more difficult the more corrupt a spellcaster becomes. Detailed below are examples of how to reduce a spellcaster's magical corruption, but Gamemasters are encouraged to come up with alternatives that fit their particular campaign styles. Atonement: A character with magical corruption who receives an atonement may make a Will save (DC 10 + total corruption score). If successful, the character reduces his corruption score by half. Successive atonement spells further reduce the spellcaster's corruption by half, but can never reduce their corruption below 1. A character may not benefit from more than one casting of atonement in this fashion in 24 hours. Abstinence: Characters who do not perform actions that subject them to magical corruption for one day reduce their corruption score by 1 point if they succeed at a Will save (DC 10 + total corruption score). The duration of spellcasting abstinence needed to reduce the next point of corruption is cumulative, requiring 2 days to reduce the second point, 4 days for the third, 8 days for the fourth, and so on. A character who practices spellcasting abstinence but then later increases his corruption score finds it takes longer and longer to remove corruption in this fashion. Spellcasting abstinence may reduce corruption to 0. A supernatural process practiced by some magical organizations as a last resort against corruption renders particularly dangerous spellcasters, or those at risk of profound corruption, incapable of casting spells and mentally stunted. The ritual of tranquilization requires a number of participating spellcasters equal to the total caster level of the character to be tranquilized plus the spellcaster's total corruption score plus 1,000 gp worth of rare ingredients and reagents per hit dice of the spellcaster to be tranquilized. The ritual requires the subject be willing or helpless throughout the entire process and takes 1 hour per caster level of the spellcaster to be tranquilized. At the end of the ritual the subject of tranquilization must succeed at a Will save (DC 10 + total corruption score) or be rendered incapable of casting any spells from one spellcasting class he belonged to at the time of tranquilization. Additionally, the character's corruption score is reduced to 0 and his mental scores are permanently reduced as if affected by feeblemind. Success indicates the tranquilization process is ineffective and the attempt is wasted and may not be attempted again for 24 hours. The tranquilized spellcaster is still a member of his spellcasting class and maintains a class spell list, therefore allowing the tranquilized spellcaster to utilize spell-trigger items. Only a miracle or wish may undo the tranquilization process. In addition to gaining corruption from spellcasting, characters can receive corruption from actions that emulate or require spellcasting in their process. The use of a spell-trigger or spell-completion item does not, in itself, cause magical corruption. However, the creation of magic items does when spellcasting is required to fashion the items. A character who casts required spells during the item creation process must make Will saves against magical corruption for each required spell in the item's creation requirements. Magical corruption is an affliction of the body and soul that is inherently evil. While magic corruption does not actually force a character's alignment to change certain spells and effects can treat a corrupted character as though they were evil. A character with magical corruption registers on detect evil as an aligned magic item or spell with total caster level equal to his corruption score. Characters with 6 or more points of corruption are subject to spells and effects that target evil-aligned creatures (such as a paladin's smite evil). Paladins who attain 6 or more points of magical corruption become ex-paladins until they lower their corruption score below 6 and seek an attonement. If you are using the alternate alignment shift rules from Ultimate Campaign, you may wish to have magical corruption affect a character's alignment over time. For every 5 points of magical corruption, reduce the character's alignment score on the good/evil axis by 1 point. This is not a drastic enough shift to push the most pious person to evil, but would cause a neutral character to become evil as their corruption grew more profound. While magic corruption assumes a supernatural source of influence, there are possibilities to adopt the system to represent a more physical source of the corruption. By changing the saves necessary to resist magic corruption from Will to Fortitude, you can easily turn corruption into a form of physical pollution, making magic a source of defilement in the world caused by disrupting the natural order. Themed in this manner, magical pollution could ravage the landscape and cause physical deformities. You could even devise a system whereby magic pollution could "irradiate" landscapes, exposing non-spellcasters to corruptive effects by lingering too long in polluted areas.